Take the Swiss trains – as scenic and precise as you’d expect, like a Swiss watch. 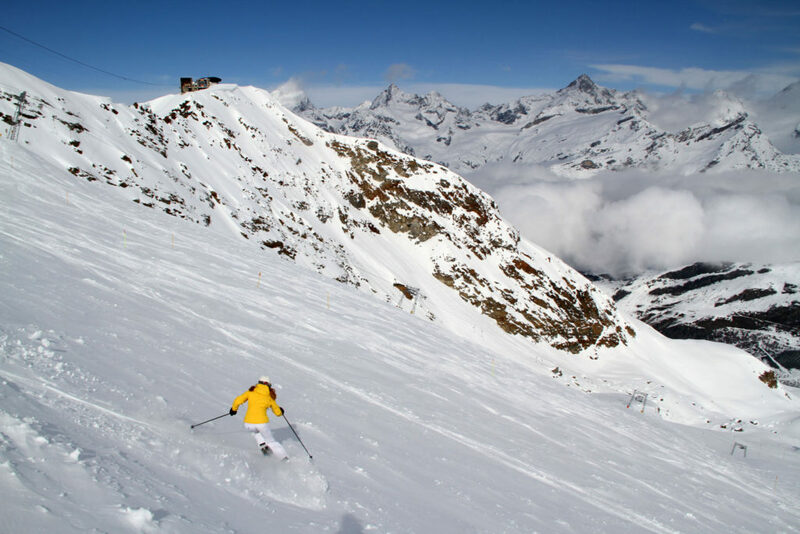 The Matterhorn Glacier Express travels scenically and swiftly 8 hours from Zermatt to St Moritz passing though ski towns like Andermatt, Laax, and Davos on its way. Many of the best ski towns in Switzerland are car-free, with charming snow laden chalets offering luxury lodging, and vast ski terrain in all directions. Glaciers sparkle and promise excellent snow, at to Swiss ski resorts of Zermatt, Saas Fee and Gstaad 3000. 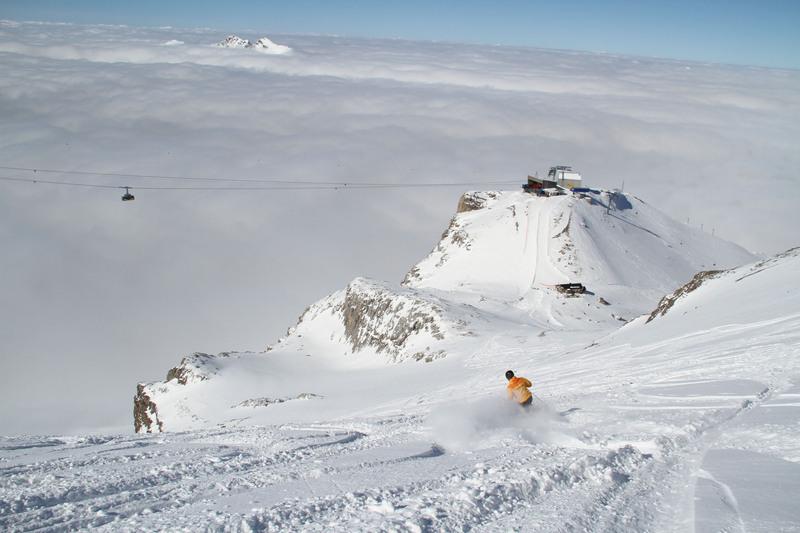 Other ski regions like the Jungfrau and Aletsch Arena combine multiple big mountains and several ski villages with interconnected lift systems and long trail networks for miles of skiing adventure. 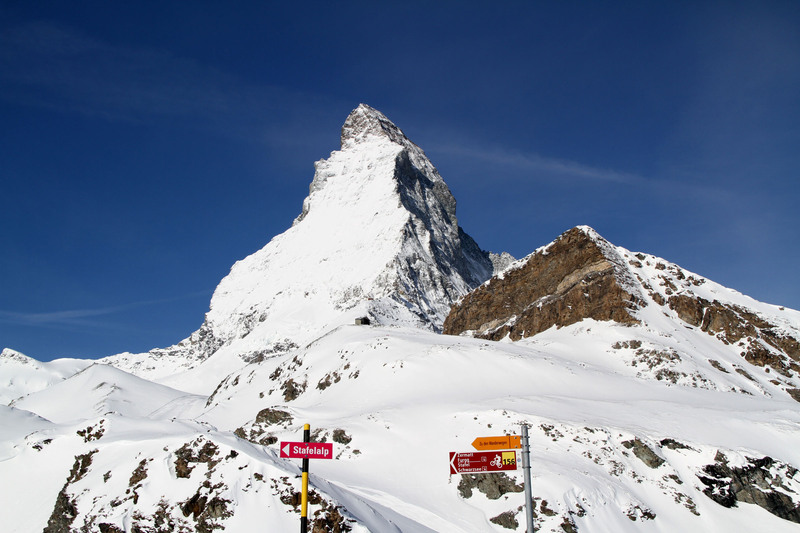 Zermatt is the granddaddy with 60 ski lifts and over 350 kilometers of prepared slopes and even more off-piste borders. You can ski to Italy for lunch, the ultimate “cross country” alpine adventure. 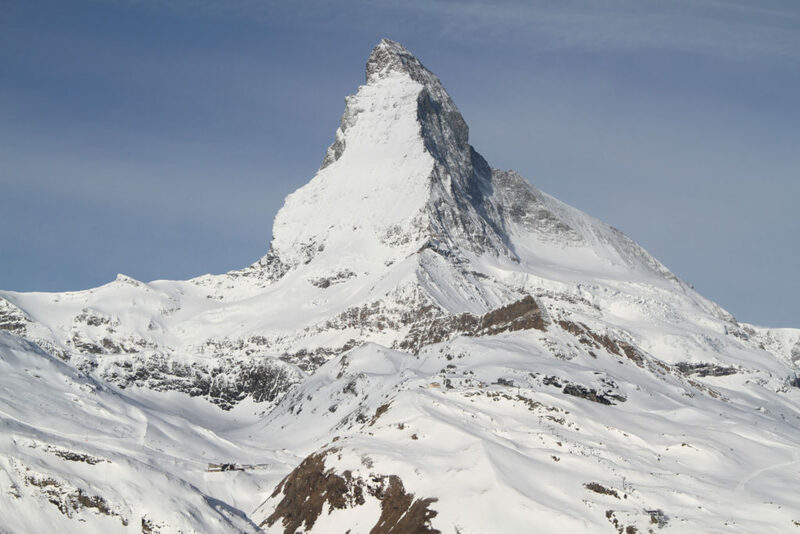 The beauty of Zermatt starts with the magnificent Matterhorn towering 14,693-feet above this historic town, the most photographed mountain in the world. While you don’t ski on the Matterhorn, Zermatt offers the highest skiing in the Alps at 12,739-feet, on glaciers, served by trams and trains, and wide-open trails in every direction. 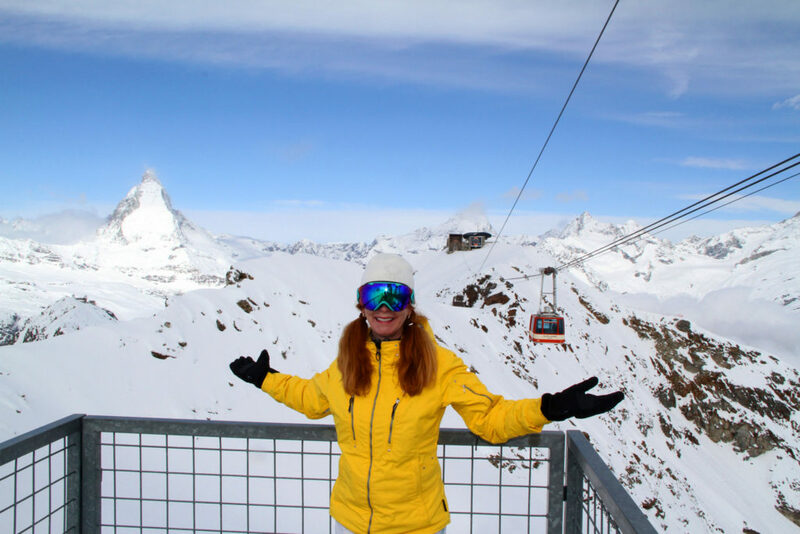 The real treat of skiing the Swiss Alps, especially Zermatt, is skiing to a cozy mountainside chalet, look for the Swiss flag, serving homemade schnitzel and fondue, or sunning on a terrace with a view and a schnapps. Zermatt village is a picture postcard of world-class hotels, famous boutique shopping, top Swiss restaurants, with music festivals and entertainment as added après ski amusement. 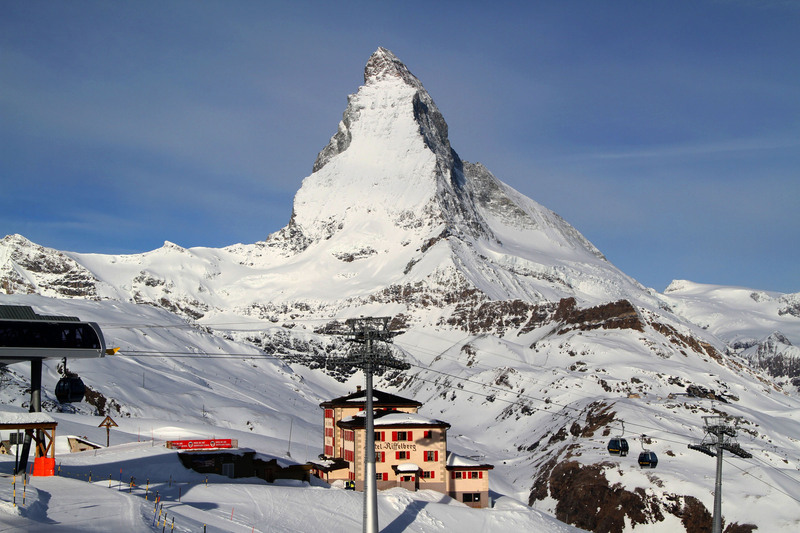 See our reveiw of the Zermatt and the Top Ski Hotels in Switzerland. 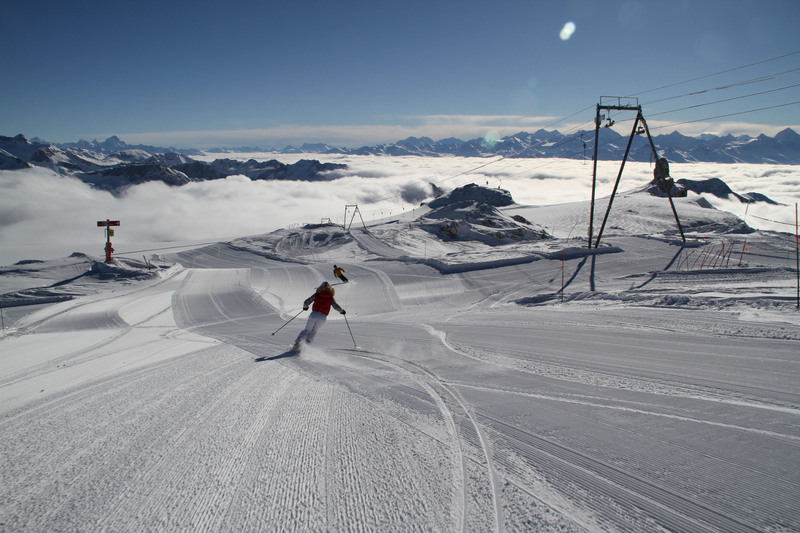 Verbier in Les 4 Vallees has extreme skiing, and equally black diamond après ski and designer shopping. 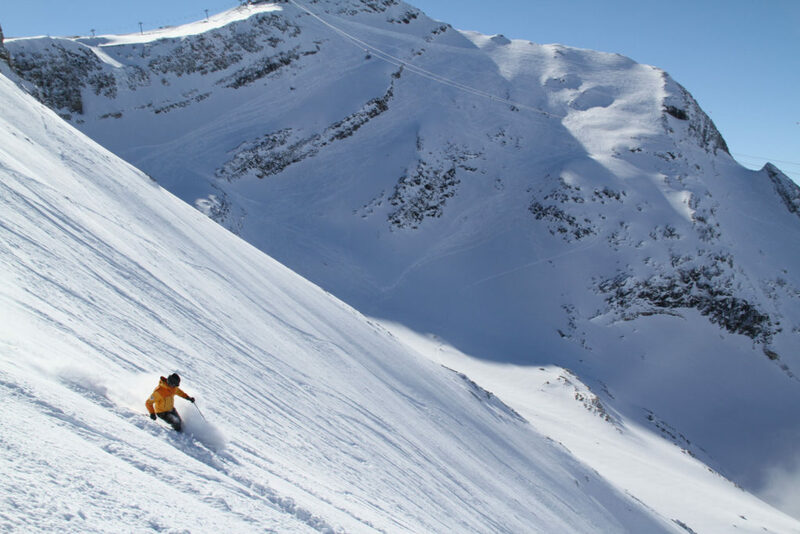 We love Verbier’s high elevation off-piste skiing on Mont Fort and Mont Gele at 10,900′, the dozens of beautiful on mountain chalets, and the 5-star hotels and Michelin restaurants in Verbier’s chic ski village. In Graubunden and Surselva Alps region, so many ski resorts are within an hours’ drive, or train, and near Zurich, Andermatt Sedrun, Laax, Obersaxen and Brigels, to Arosa Lenzerheide, Savognin, and Davos to St Moritz to the east. You can easily create a Swiss ski safari, skiing several Swiss ski areas. 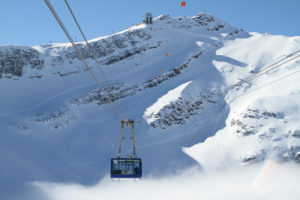 Portes Du Soleil includes the Swiss and French Alps, a huge resort compilation of 12 villages, located in the spectacular Region Dents Du Midi between Lake Geneva and Mont Blanc. 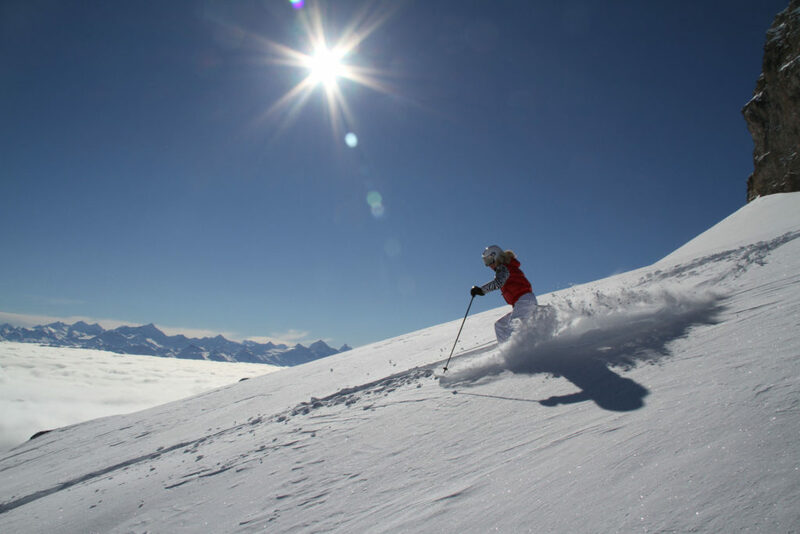 Gstaad is a famed Swiss ski destination, with the most luxury hotels, more five star hotels than any other European ski resort, and seven separate ski areas. 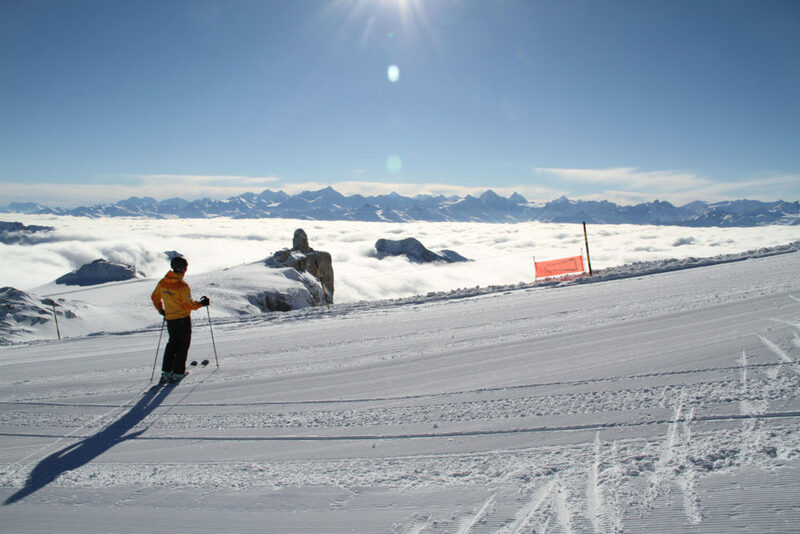 The highest and most scenic is the Gstaad Glacier 3000 which is absolutely spectacular on a sunny day as the snow glistens and you can see as far as The Matterhorn and Mont Blanc Chamonix. 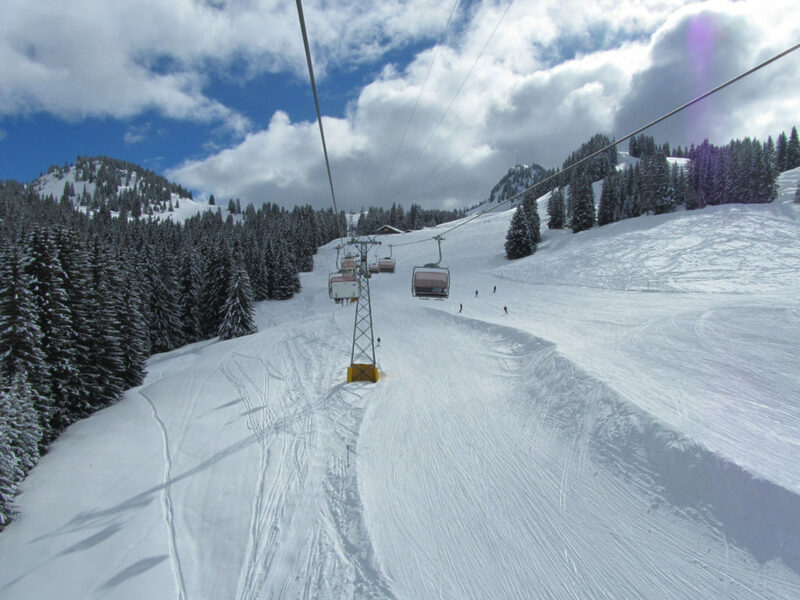 While the ski terrain of Gstaad’s ski areas is not particularly steep, unless you go off-piste with a guide for an alpine adventure, the boutique shopping and restaurants in Gstaad’s delightful village are black-diamond, high-end for experts only with a big wallet. 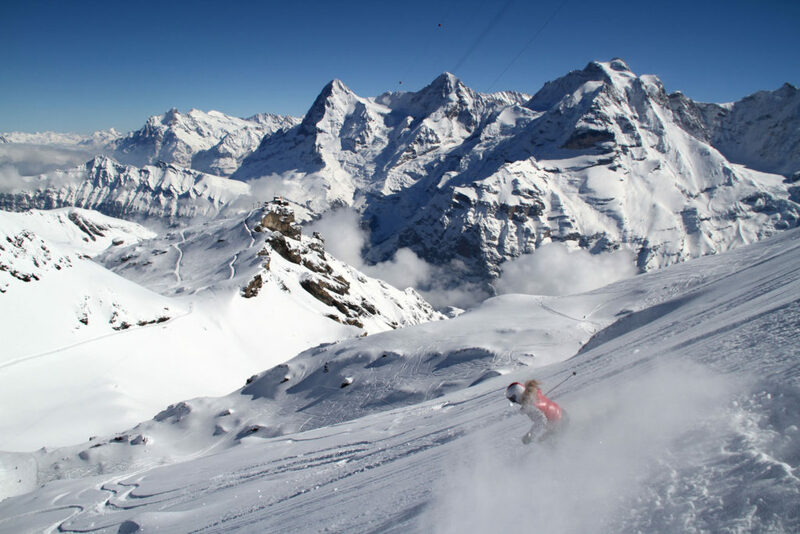 Switzerland’s Jungfrau ski region offers even more big mountain skiing, with three ski areas Grindelwald First, Kleine Scheidegg near Wengen and Mürren’s Schilthorn, all on one ski pass. 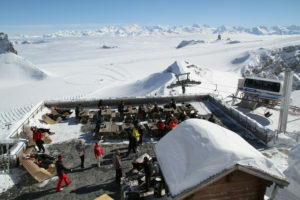 Schilthorn’s 9,744’ summit is where James Bond was filmed, home of the world famous Piz Gloria 360 rotating lodge. Wgenen across the valley is a charming car free ski village, and host of the legendary Lauberhorn World Cup downhill race. Bring your camera and your ski legs to the Jungfrau region, the terrain is tremendous, and so is the view. Saas Fee is another fantastic Swiss ski resort, near Zermatt. 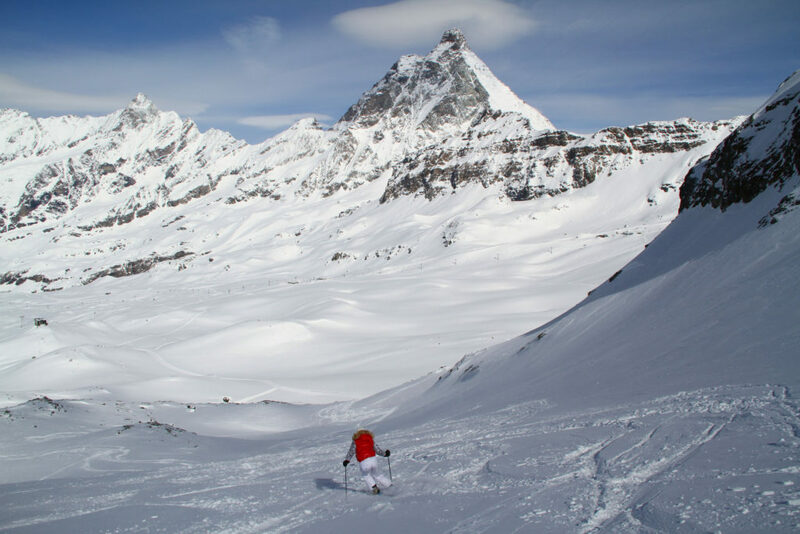 Saas Fee doesn’t get the big name recognition like other Swiss ski resorts, but it does have a glacier for guaranteed snow, gorgeous glittery views, and a romantic ski village with no cars ( and few crowds). A Swiss ski vacation promises awesome Alps scenery, amazing alpine skiing – especially if you hire a guide to explore off-piste. 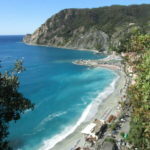 Pretty postcard villages nestle at the base of towering mountains with luxury Swiss ski hotels serving fantastic local cuisine of Swiss fodnue and raclette, and lively après ski schnapps, song and dance. 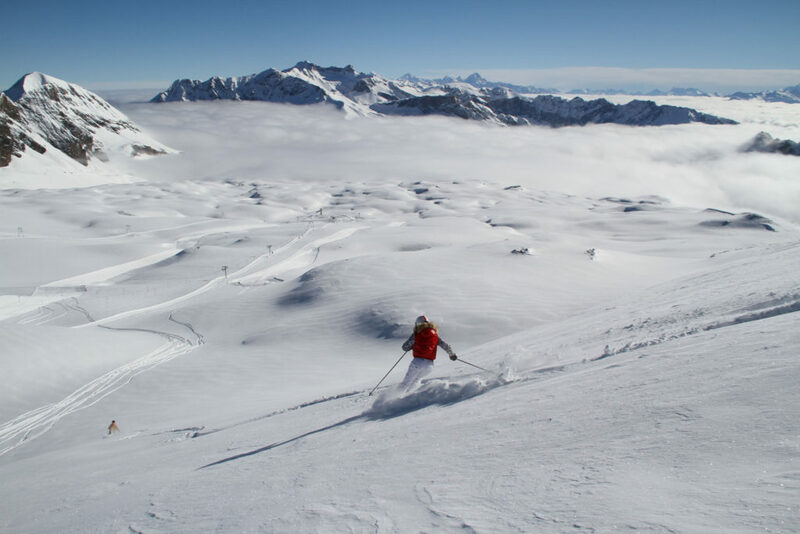 The Swiss know how to live and celebrate their mountain heritage, and you can partake in this luxury mountain adventure on a Swiss ski vacation.